Red Giant Movies is one among the top production banners in Tamil Nadu right now. They made big films with stars like Kamal Haasan, Vijay and Suriya. One top star that they would like to produce a film with, would be Ajith. 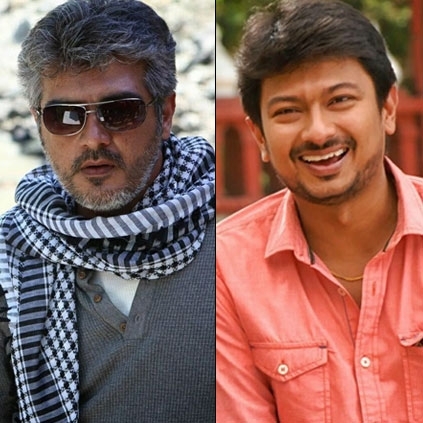 Udhayanidhi Stalin, the founder of Red Giant Movies, talks to Behindwoods about when he will produce a film with Ajith Kumar. Baahubali 2 becomes the 3rd highest in USA history! Why did PM Narendra Modi smile while talking to Akshay Kumar? People looking for online information on Ajith Kumar, Udhayanidhi Stalin will find this news story useful.